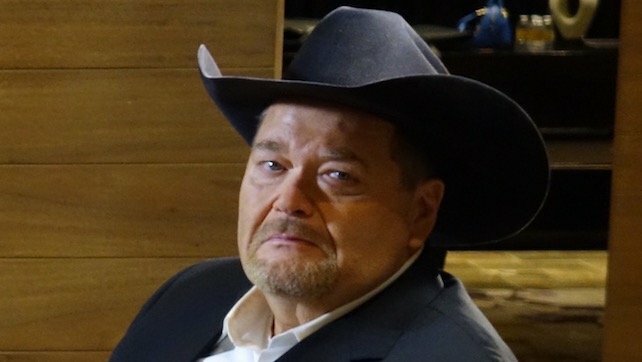 As we noted earlier today, WWE Hall Of Famer Jim Ross joined ESPN’s Outside The Lines to provide an update on his current status in the professional wrestling industry. During the interview, Ross talked about possibly making his way over to All Elite Wrestling (AEW). Ross confirmed that his agent is currently in discussions with the new promotion, but he hasn’t signed anything yet. I don’t know. We’re talking, we’re talking. I just haven’t signed anything yet. My people and their people are doing their thing. The only agent I grew up knowing was the State Farm agent in Oklahoma. So I got a real agent now, man! So they’re working on that, they’re working on it. I’m about to get into some voice-over work – I wouldn’t mind having a radio gig doing College Football.